Canada 104, 1950 Canada National Easter Charity Seal, French Text, full gum, F, MNH. Girl with crutches and a rabbit. 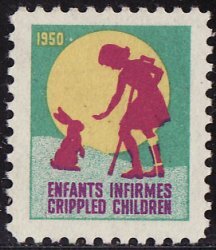 Inscribed "Enfants Infirmes - Crippled Children"
Canada 104, 1950 Canada National Easter Charity Seal, French Text, full gum, F, MNH. Girl with crutches and a rabbit. Inscribed "Enfants Infirmes - Crippled Children". Colors: 2 shades of green, yellow, and violet. 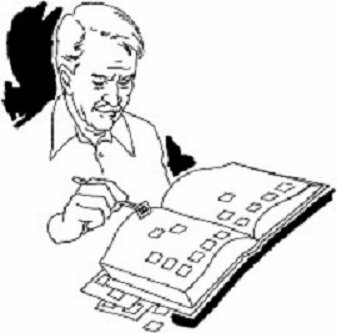 Perf 11 x 11.